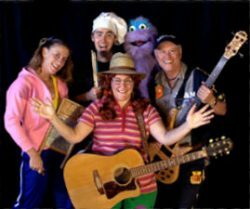 About The Artist: Abby’s music doesn’t just rock, but communicates educational and positive messages to the audience of all ages. Songs like Be Yourself, an upbeat funky positive message song, and I Like Monsters, an electric guitar rockin’ action and sing-a-long song about you guessed it! Featuring tunes like The Bully, a banjo rock song empowering kids and diffusing bullies who might be listening and Don t Play with Fire, a catchy whistle-along safety song great for parents and kids alike. Truly great kids music that parents can also enjoy!